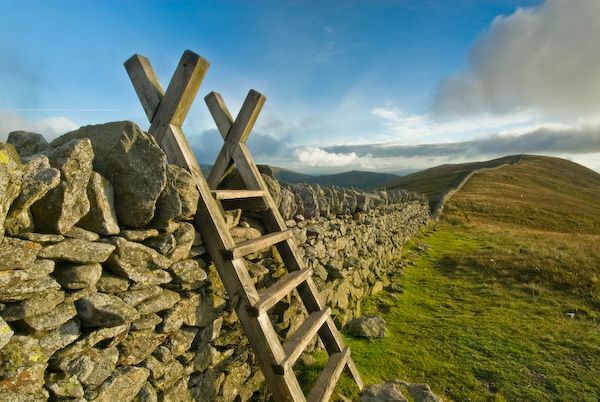 One of the most popular peaks in the Lake District for walkers, Helvellyn can be approached by a variety of routes, each with its own advantages and disadvantages. The most popular routes leave from Glenridding and Patterdale to the west, and Thirlmere to the west. The eastern slopes are much more interesting and provide a marvellous array of views. The path is well marked near Glenridding, but as it nears the peak it becomes much more difficult to follow. The most challenging eastern approach leads across Striding Edge, an arete, or thin ridge, which in places seems to be no wider than the edge of a sharp knife! Oh, but the views! Striding Edge stretches for a mile from Hole-in-the-Wall to the massif of Helvellyn. The first section is a fairly easy walk, but the final stretch gets more challenging, especially if the fog descends, as it can do with startling suddenness. I have climbed along to Striding Edge to Helvellyn in dense fog, and though I can't recommend it as a sensible thing to do, it certainly can be done, so if the thought of walking across an arete puts you off, cheer up! It's an exciting experience. 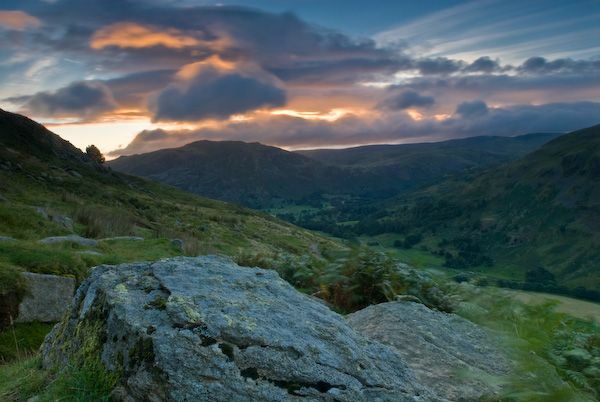 The circular route from Glenridding takes between 5 and 6 hours, so you need to be well supplied with good footwear and adequate supplies of food and water. I can't emphasize strongly enough the need for a good OS map. You'll want the OS Explorer 007 map. I also recommend purchasing one of the specialized route maps covering the climb up Helvellyn. These are available at any tourist information centre in the area, and from most stores in Ullswater and Keswick. 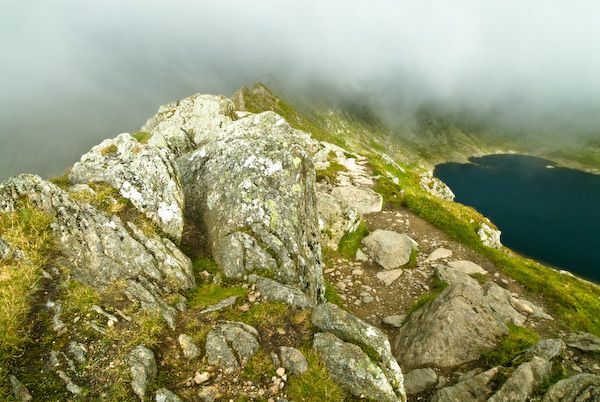 Now some facts and figures: Helvellyn is the third highest mountain in the Lake District National Park, at 3117 feet. A climb up to the summit can easily be combined with a walk along Swirral Edge to Catseye Cam. The eastern arms of Helvellyn curve to form a semi-circle. At the base of the ridge is Red Tarn, a beautiful lake that has been dammed to provide power for mining further down the valley. The outflow from the tarn eventually runs into Glenridding Beck, and then into Ullswater. 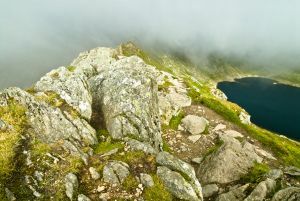 Striding Edge provides one of the most challenging and best-known scrambles in the Lake District. It requires a fair bit of fitness to make the traverse, but no special equipment if the weather is fine. Pay attention to that last sentence! If conditions are difficult, particularly in winter, the arete becomes a dangerous place, and has been the scene of many accidents over the years, some of them sadly fatal. Don't let that put you off; just use common sense! Also, note that if you arrive on a sunny summer day you may find yourself waiting in line if people are passing in both directions. 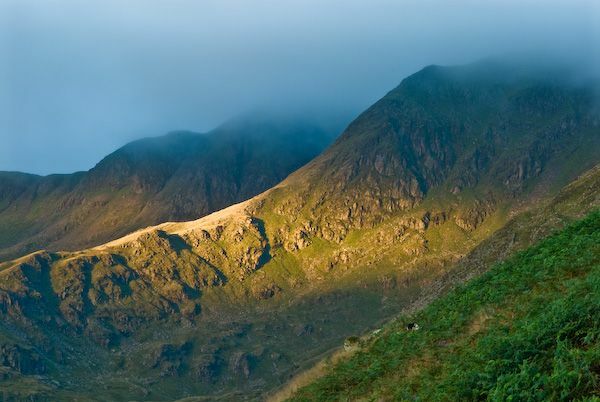 One of the most popular routes is to take Striding Edge to the summit, then cross the level plateau of the summit to take the ridge opposite, and take the path back down past Red Tarn to Hole-in-the-Wall and the main path back to Glenridding. I've talked about the eastern approach; how about the Thirlmere route? The western approach has one advantage over the eastern one - it's shorter. However, that shorter route comes at the cost of a steeper slope. So its a trade-off; do you want a steep, shorter route, or a longer, gentler climb? 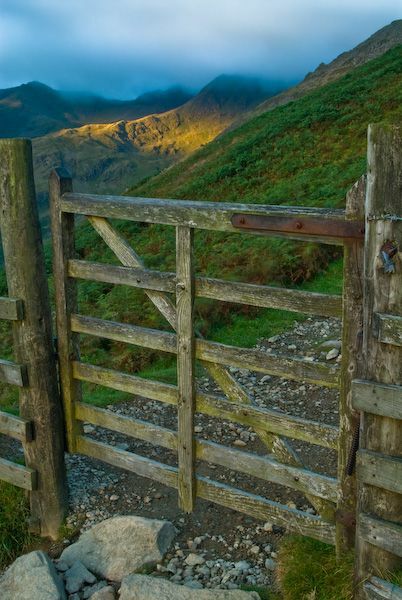 Location: Paths leave from Glenridding and Thirlmere. Paid parking at both locations.